The Swachh Bharat Abhiyan (SBA) has been granted Rs 9,000 crore in the 2016-17 Budget for rural sanitation, an increase from Rs 3,625 crore granted to the initiative last year. “The subject was very close to the heart of the Father of the Nation. For the first time since Independence, the Parliament held a comprehensive debate on sanitation,” Finance Minister Arun Jaitley said on Monday. According to the Budget document, urban sanitation has received a plan outlay of Rs 2,300 crore. Of this, Rs 900 crore has been allocated to the north-eastern region and Sikkim. The goal of SBA is 100 per cent access to sanitation for all rural households by October 2, 2019. It was launched in 642 districts and 32 states/Union Territories on October 2, 2014. Sanitation coverage in India continues to be low. According to the Census of India 2011, three out of every five people do not have access to sanitation facilities. “Increase in the budgetary allocation for Swachh Bharat is the best thing the government has done for improvement in sanitation,” Satish Wate, the former director of the National Environmental Engineering Institute and part of the 19-member expert committee on Swachh Bharat, said. Swachh Bharat is an umbrella programme that covers both sanitation as well as drinking water. SBA, which addresses the former, focuses on the construction of toilets, bringing about behavioural change among people to encourage the use of toilets and treatment of the waste-water. The National Rural Drinking Water Programme (NRDWP), which addresses the latter, has been allocated Rs 5,000 crore, thus taking the total budgetary allocation to the Ministry of Drinking Water and Sanitation to nearly 14,000 crore in the rural areas. This year, the thrust of NRDWP will be on the coverage of rural population with piped water supply and completion of the ongoing schemes. “More than 80 per cent of the rural population is adversely affected by poor quality of drinking water. This should be the prime area of investment for the Ministry of Drinking Water and Sanitation,” said Environmentalist and Professor at the Benaras Hindu University (BHU) B D Tripathi. Wate listed out the plan of action for the ministry: construction of toilets, motivating people to use them through awareness programmes and ensuring proper treatment of waste water. 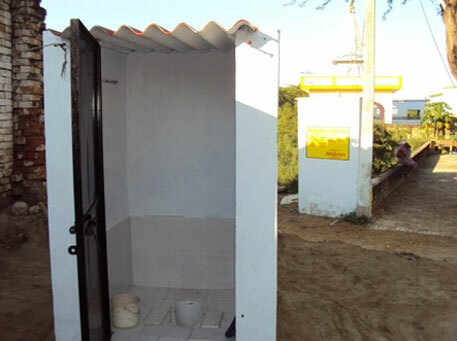 “Last year, toilet construction and awareness generation were critical areas. Today, selection of technology for treatment and utilisation of wastewater have become critical issues. The Madras refinery has been doing it for years. MAHAGENCO has begun doing it. Now, is the time to slightly shift the focus,” Wate said.